So being that my husband and I have always been a very athletic set of individuals growing up, we are active now as adults as well. We love taking the boys outdoors to play as much as possible. Our entire family knows that once spring comes along, mom and dad start their softball season too! We play each year on an adult beer softball league. We have for about a decade now alongside with long time friends and even extended family members. 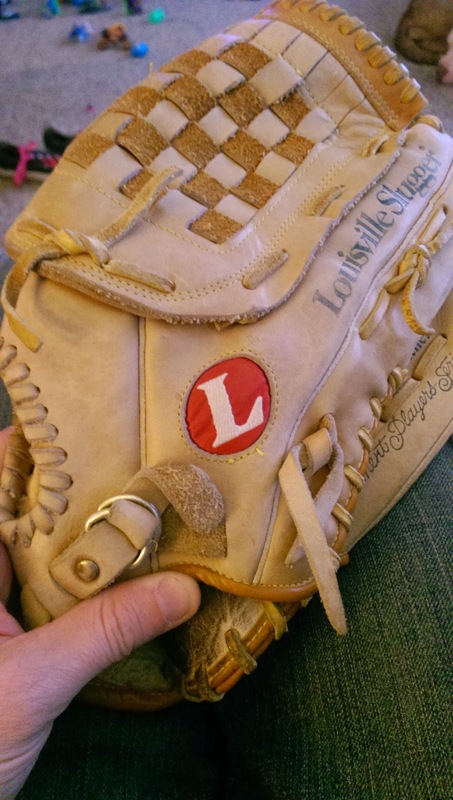 Because we have played for so long, our gear has taken quite a beating over the years, more specifically our mitts. 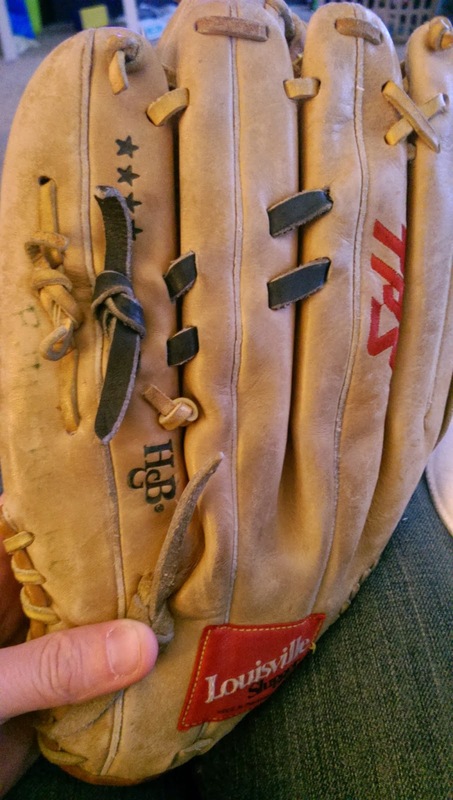 Being that I have actually played first base for years, my mitt gets it even more and seems to be ready for the trash! Because I figure I I've only got a few more years left in me, I refuse to spend the money and purchase a new one. 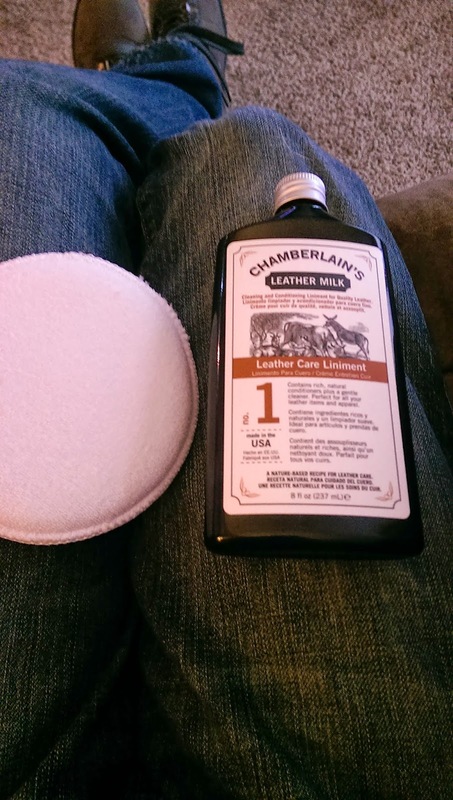 So when Chamberlain's Leather Milk asked if I would review their Leather Care Liniment No. 1, I quickly agreed. 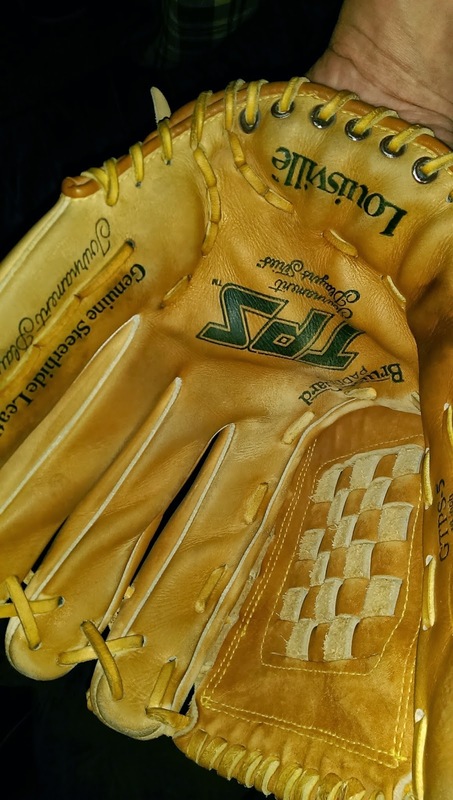 I knew this would be just what my glove needed. 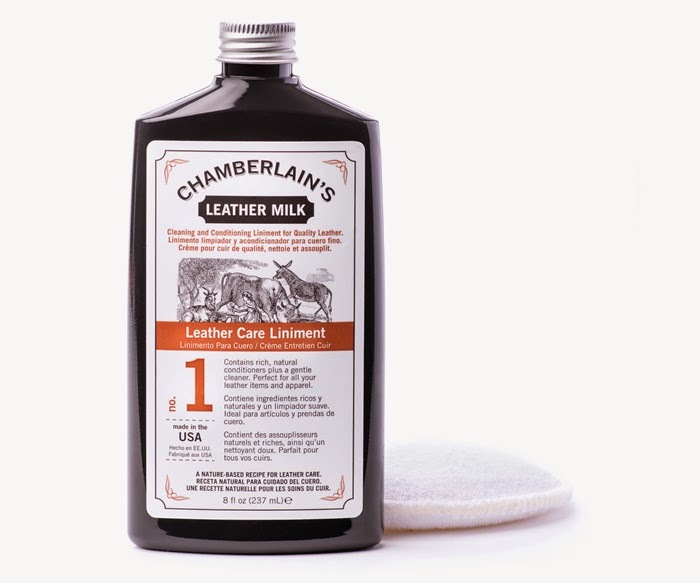 "Chamberlain's Leather Milk Leather Care Liniment No. 1 is a milky, water-based natural leather care recipe containing some remarkable leather enriching ingredients. This product contains oils that can be described as ‘lighter’ rather than ‘heavier’ oil types; and because the product is water-based, it also works as a mild cleaner." We of course used it on my glove first and then Kevin's. It definitely has a lighter feel to it and so I must warn you pour slowly. After using this on mine and Kevin's gloves we were so impressed with the quality, we then told our team about it! I feel like not only is my glove cleaner (smelling better than it was) but it feels and looks brand new! Recommendation: Definitely worth the purchase as well as their other products! I loved the fact that there was no residue left behind and no strong smell just pleasant. $19 bucks isn't too bad either since you know it is going to last (although ours is going quickly)!